Homepage / Cat / How Many Hours does a Kitten Sleep? How Many Hours does a Kitten Sleep? 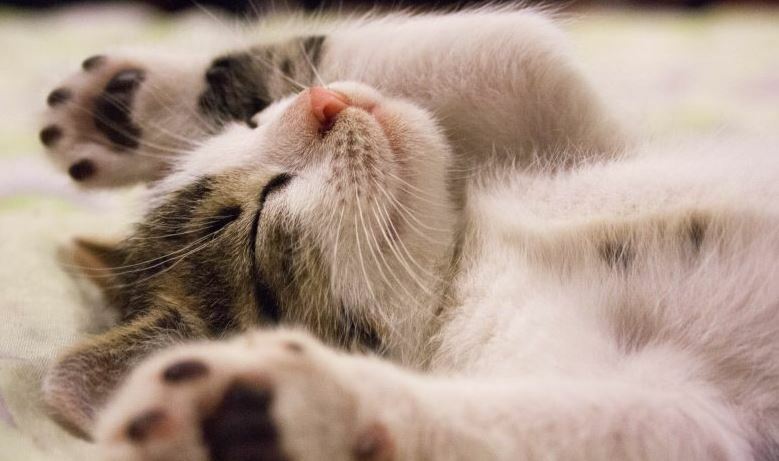 How Many Hours does a Kitten Sleep – There is nothing more tender than seeing a kitten sleeping. It makes you want to eat it with kisses, but you do not usually do it for fear of waking it up. If this is the first time you have lived with one, surely you have doubts about how long you should sleep, right? You may know that you can spend a lot of time resting, but how many hours does a kitten sleep exactly? Cats are animals that spend practically the day sleeping. When they are babies, they will remain asleep for an average of 20 hours, and as they grow up that time will be reduced, little by little. So, generally, from 2 months and up to 4 you will sleep about 18-20 hours; from 5 to 6 months some 17-18 hours, and from 6 months will be about 16-18 hours . Even so, you have to know that this may not be the case with your furry one: it may be that he sleeps more or that, on the contrary, he sleeps less. In addition, there may be times throughout your life where you will rest much longer than normal, such as when you are sick or have had an accident. Also when you get older you will increase your sleep hours. You probably think that all this that I just told you is still far away, but believe me, the cats grow so, so fast that you do not have to waste a single minute . With 1 year is considered adult, and 10 years older; So, listen to me: take advantage of every second you can with your little hair, because only then can you be sure that tomorrow will be a happy and calm adult cat. And for that, nothing better than sharing the bed with him. Yes, sleeping with a cat is the perfect excuse to smile in the morning, and that is not to mention that your relationship will be strengthened even more. May you have sweet dreams ????. Next post Why does My Cat Lose Weight?